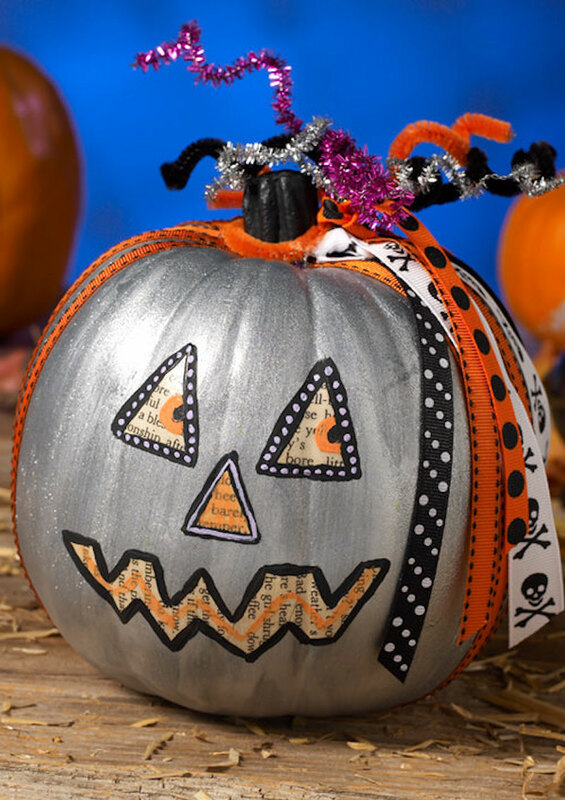 You're going to love this collection of awesome painted pumpkins for fall and Halloween! 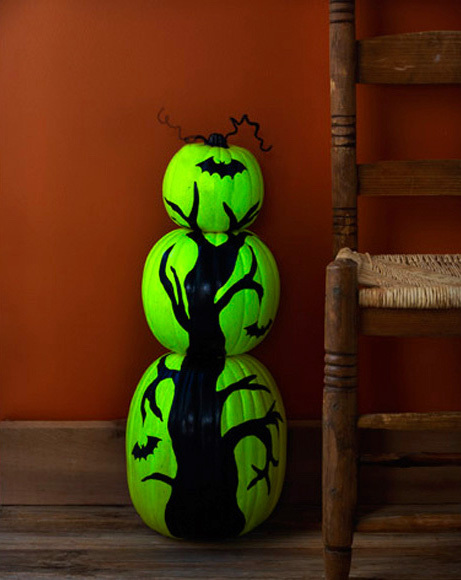 These painted pumpkin ideas are for all skill levels. 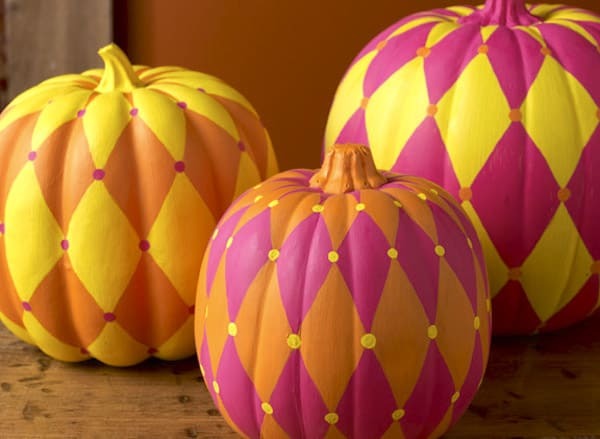 Of course you can use any of these pumpkin painting ideas for real pumpkins, too. It's not going to make the pumpkin last any longer, but it's still pretty fun! 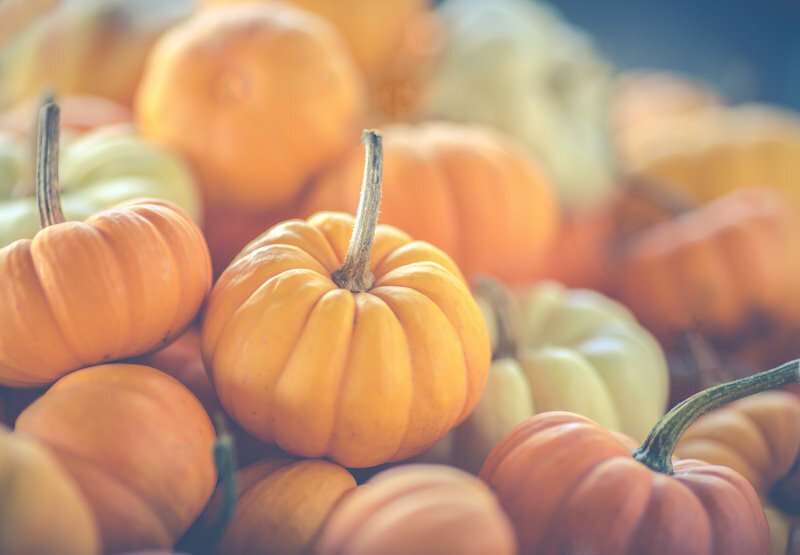 For this roundup, I picked some of my favorite no carve pumpkins, and I think you're going to love them as well. When you don't carve a pumpkin, your best bet is to either paint the pumpkin, or decoupage it, or both. That's what we're doing with all of these ideas. Some are one, the other, or a combination! The outside of a pumpkin (whether it is really or fake) is really smooth, so I find that watercolors (or anything runny) isn't as great for painting a pumpkin. My favorite type of paint is FolkArt multi-surface. It works well in terms of sticking to the surface of the pumpkin, and the colors cover well and remain vibrant (plus can tolerate some weather). Spray painting pumpkins is totally possible and not hard to do, though you need some patience. 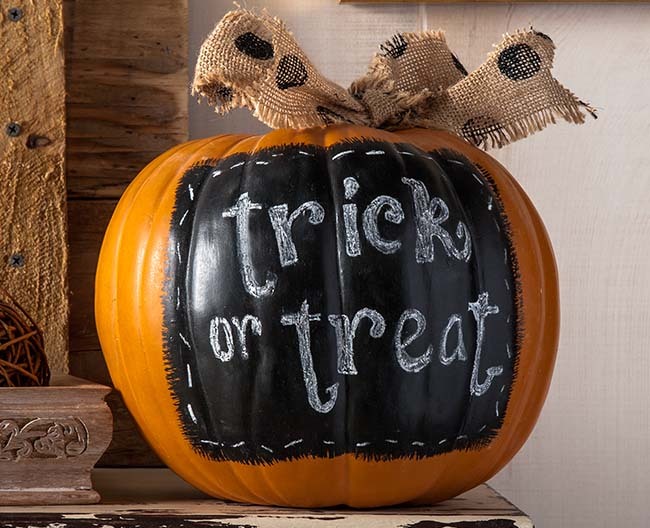 Place the pumpkin down on a paper bag and spray at least 12″ away. You'll want to spray several times, using a light coat every time you spray. It's pretty standard spray painting, but you have to be careful around the curves. You also have to wait until the top dries so that you can get the bottom. You can use any stencil to paint on a pumpkin, however, my favorite are the flexible or adhesive kind because of the curves. The cardboard or paper stencils only work well if you have a l-a-r-g-e pumpkin surface on which to use them. 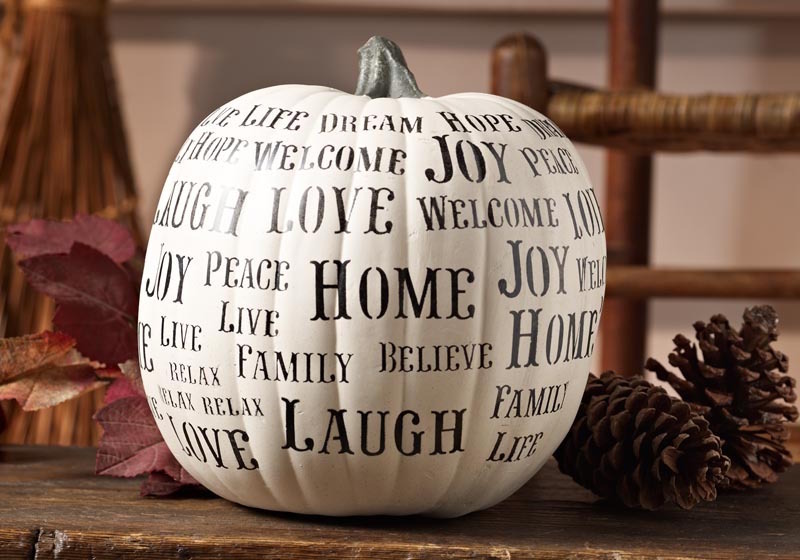 Stenciling on punkins is pretty easy to do and fun. I usually like to basecoat the entire gourd, let dry, and then stencil using complimentary colors. 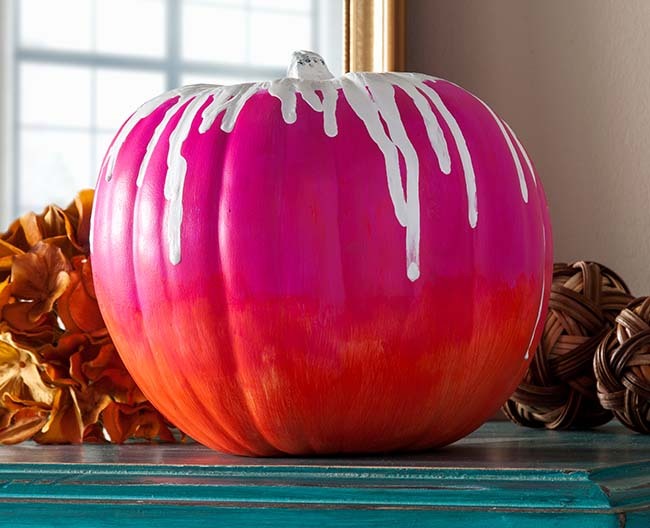 Are you ready to dive into these pumpkin painting ideas? Let's roll! I wrote all about color shift paint and how amazing it is – so I'm starting with these pumpkins because they are so perfect for the holidays! You'll use a basecoat of multi surface paint and then color shift on top. I think you need one in every color. If you haven't tried the FolkArt marbling paints yet, you're missing out. You've probably seen marbling with nail polish, and this is the same effect – but with paint. You can make all kinds of cool and modern painted pumpkin effects. 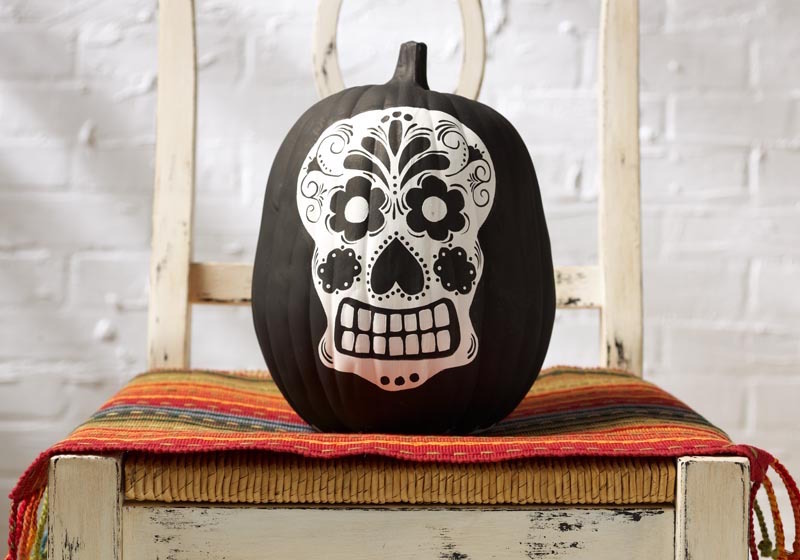 I kind of love the idea of making a face entirely out of stencils, and that's what this Dia de Los Muertos pumpkin features! Make a circle for the eyes out of adhesive stencil material, or by drawing around a circular object and filling in with paint. All the rest of the features are adhesive stencils. 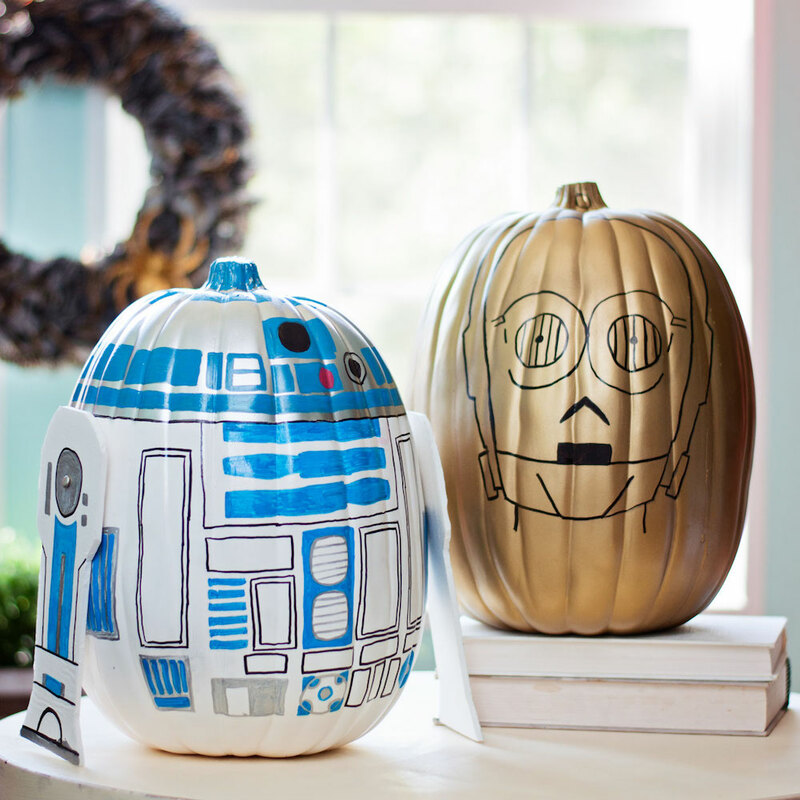 You might hear these painted pumpkins say “beep boop” or, “It’s against my programming to impersonate a deity.” I'm thinking that this Star Wars theme with R2-D2 and C-3PO is one of my favorite pumpkin painting ideas! 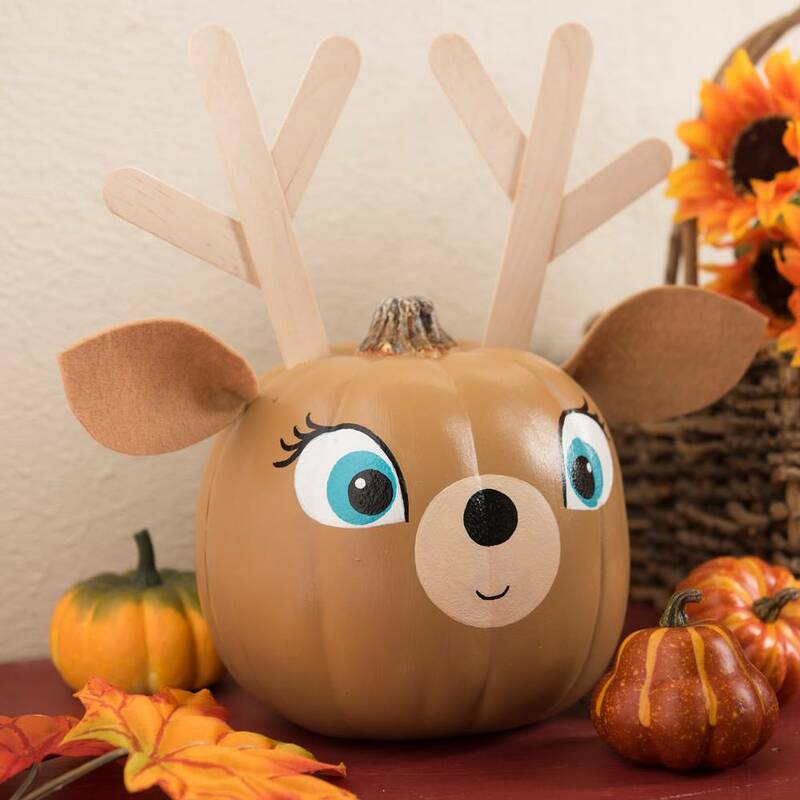 Bambi's never been as cute as he is in pumpkin form! I love that the antlers were made with craft sticks, and the ears are felt. This would be pretty easy for older kids to make. Half of this pumpkin is crackle painted . . . did you know I love crackle paint??! Then there are Mod Podge fabric leaves, and the result is so cute I can hardly stand it. 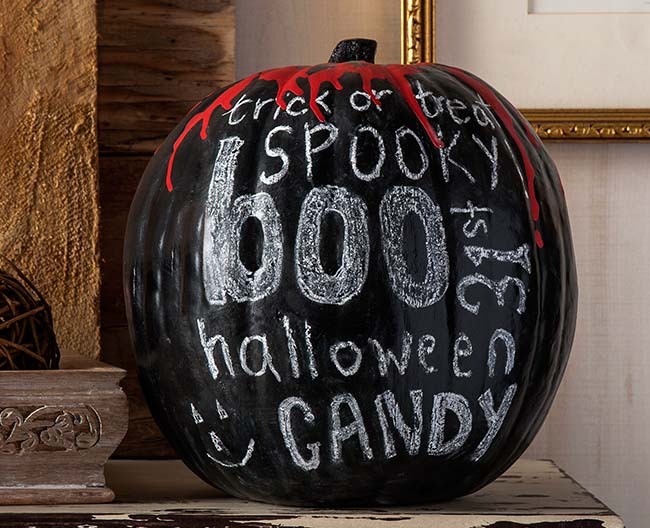 A black chalkboard pumpkin isn't that spooky – but somehow things are kicked up a notch with the addition of the blood drips! Okay, it's red paint. But wouldn't it be perfect for a party? 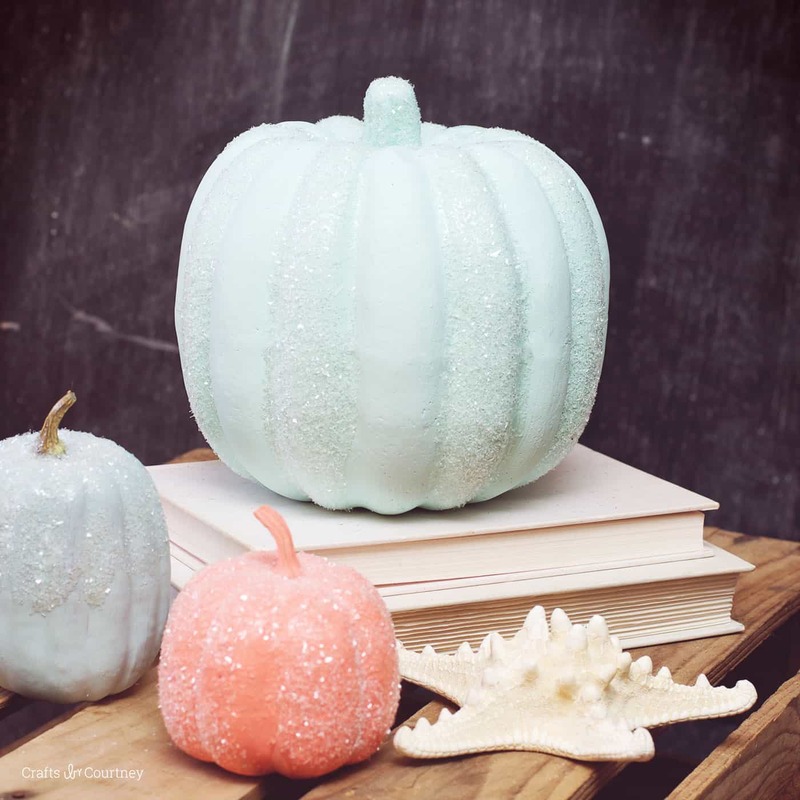 Create simple pumpkin decorations with chalk finish, diamond dust, and Mod Podge! This craft idea is so easy and perfect for fall. I personally think these would look fabulous with either vintage or farmhouse decor. “Is that a door knob?? ?” I squealed out loud when I first saw this project. And yes, this pumpkin stem is a door knob. 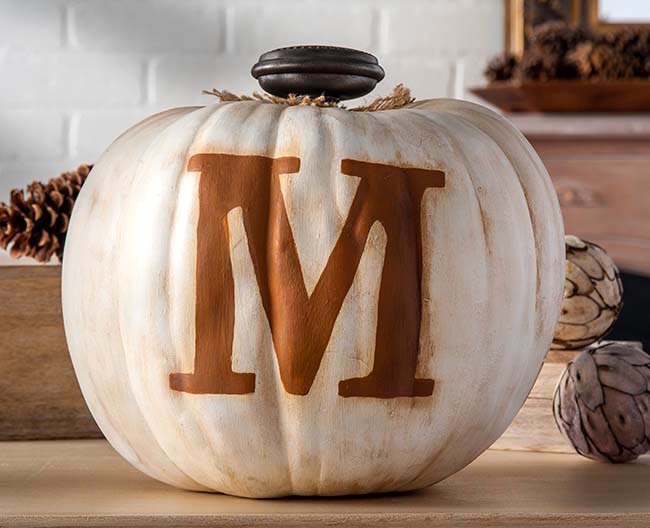 The monogram and the color palette gives this pumpkin decor a sophisticated touch. 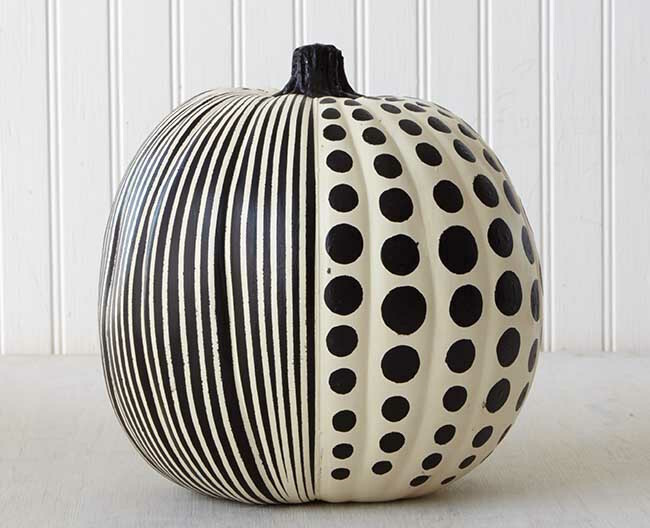 This is one of those painted pumpkin ideas I just can't get over! This faux concrete finish is amazing, and looks so real. I have to try this painting technique. 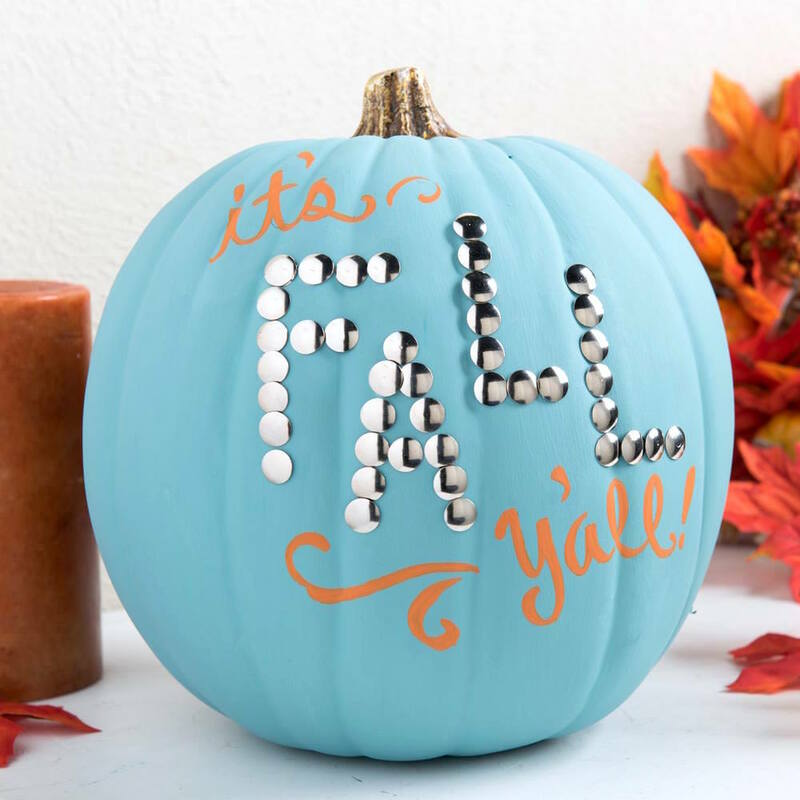 I just love the bright blue and orange of this happy “it's fall y'all!” pumpkin! If you're going for colorful seasonal decor, this could be pretty cool on your porch. The thumbtacks are a fun addition. I'm always open to something a little different, and this painted pumpkin looks like a stained glass window. I just think of all the colors I could use! I'm excited to try this idea. 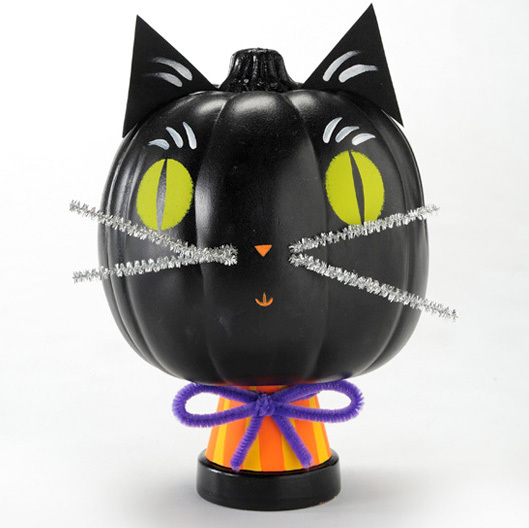 I have quite a few cat loving friends that would appreciate this Halloween black cat pumpkin! It reminds me of vintage Halloween art, and I adore it. If you're looking for eye-catching painted pumpkin ideas . . . you've arrived! I suppose this gourd has more of an 80s vibe, but somehow it's timeless. I don't think anything is too bold for a pumpkin, including this. 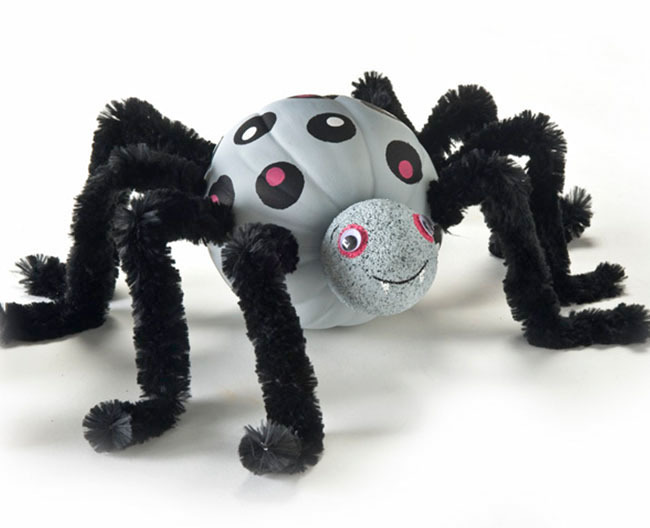 Let kids practice their polka dots with this giant pumpkin spider! The other fabulous part of this project – you get to use giant pipe cleaners (winning!). If you're having a party, this idea is perfect. 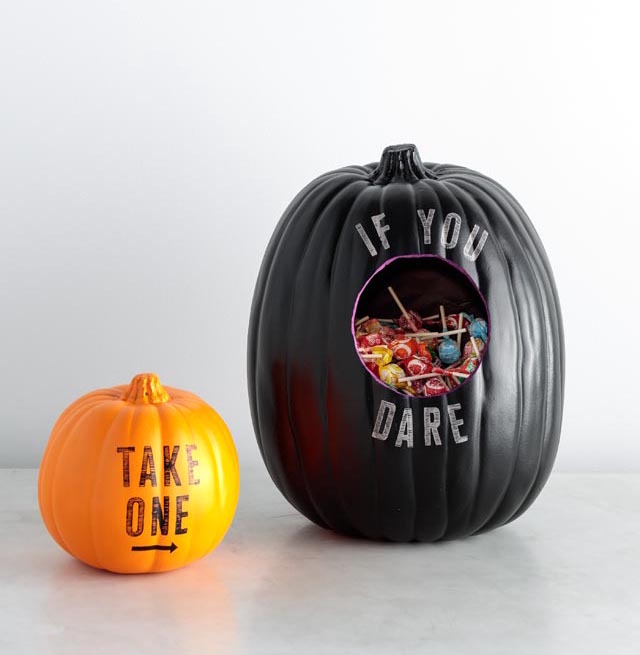 People can take candy or party favors out of the large pumpkin. These are pretty modern and cool and I love them. 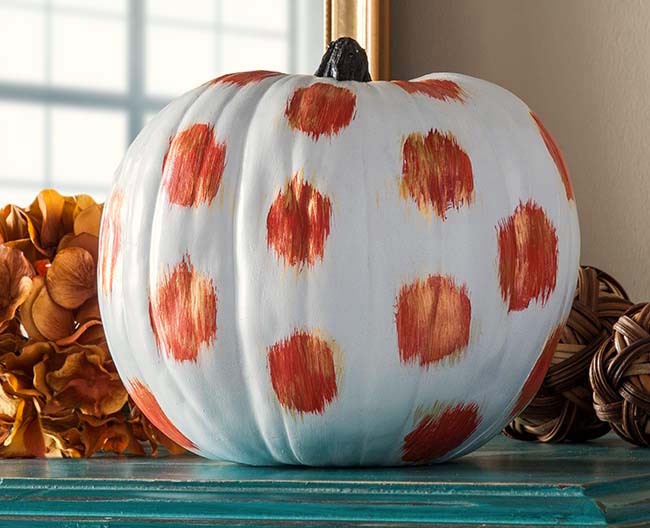 I love this ikat pumpkin because it's *really* hard to mess it up! The addition of the metallic paint over the top of the spots completes the look. 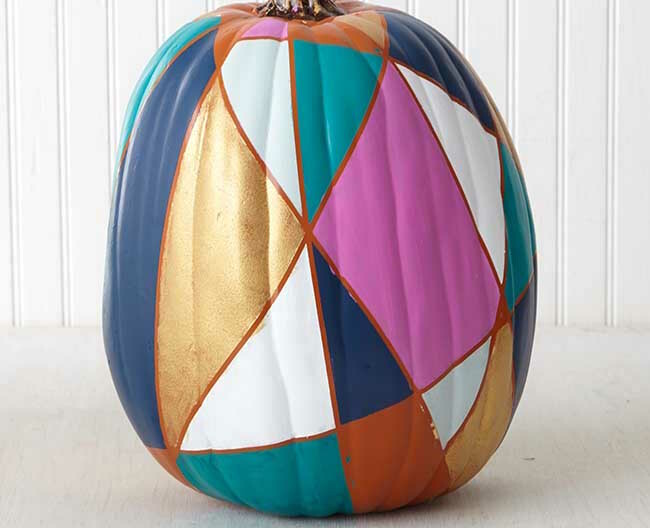 You can customize this pumpkin to your decor or color palette. There's a bit of mixed media happening in this pumpkin project! 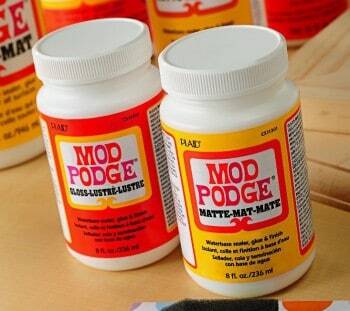 You'll use a combination of paint, Mod Podge, scrapbook paper, and book pages to make it. Every time I look at this vampire pumpkin, I smile! Even if you don't have advanced painting skills, this face is simple enough for you to paint. A paint pen can help you with the thin lines. 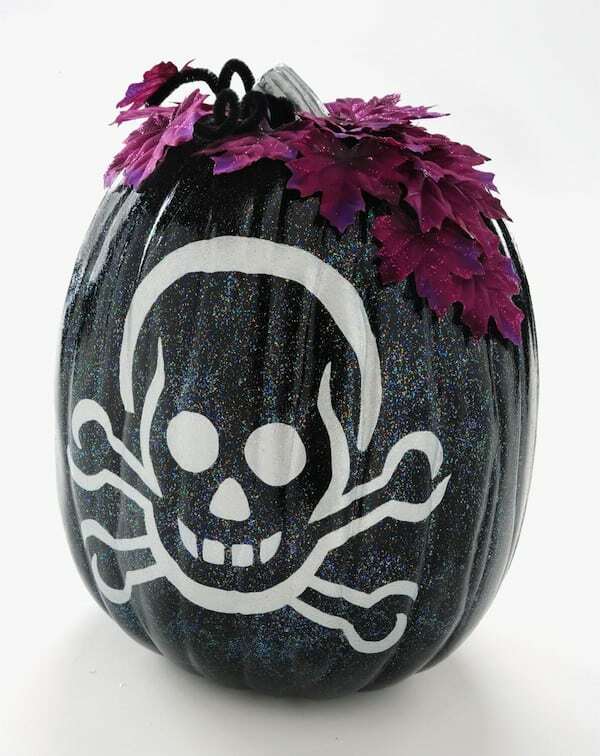 I couldn't list my favorite painted pumpkin ideas without including a little glow in the dark! 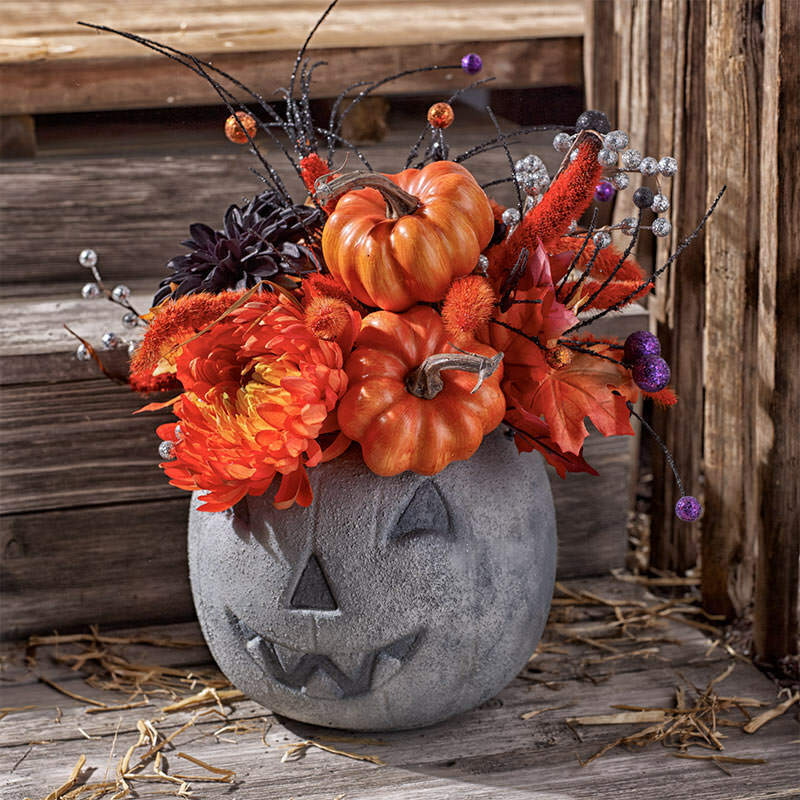 You'll need three faux pumpkins for this project, as well as black and glow-in-the-dark paint. It's incredibly fun and easy to do. 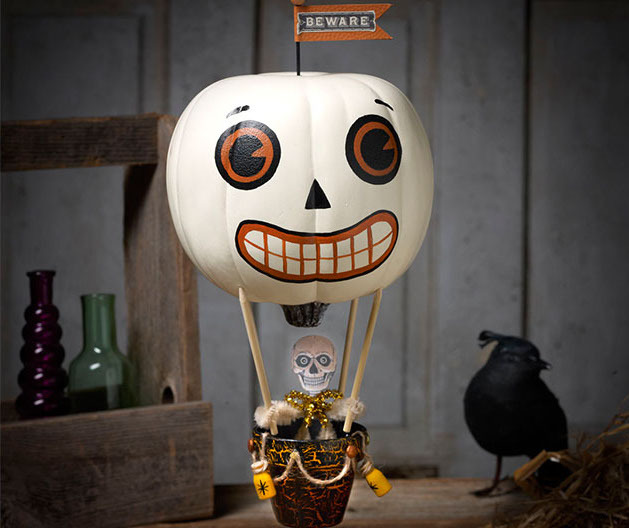 I've got to be honest, a pumpkin hot air balloon is something I've never seen before! I pretty much love it. And that clay pot basket?? I'm squealing. 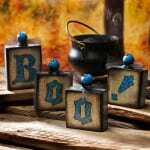 Tired of orange and black for Halloween décor? 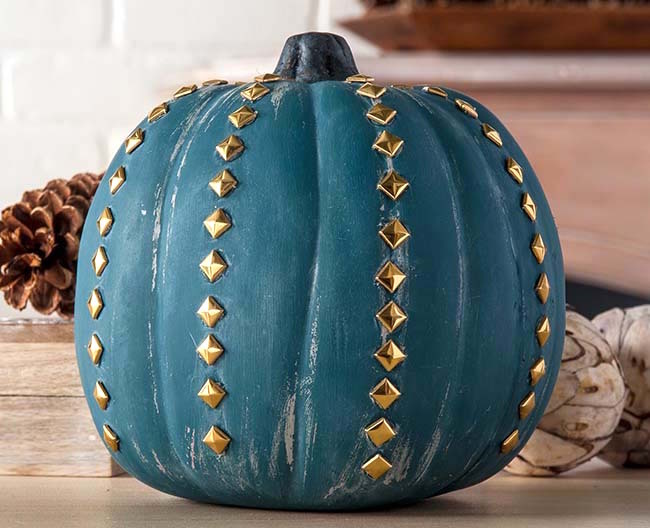 Make a statement with this gold studded pumpkin with a chalk finish! This is a pumpkin project I painted a long time ago, but I still love it. 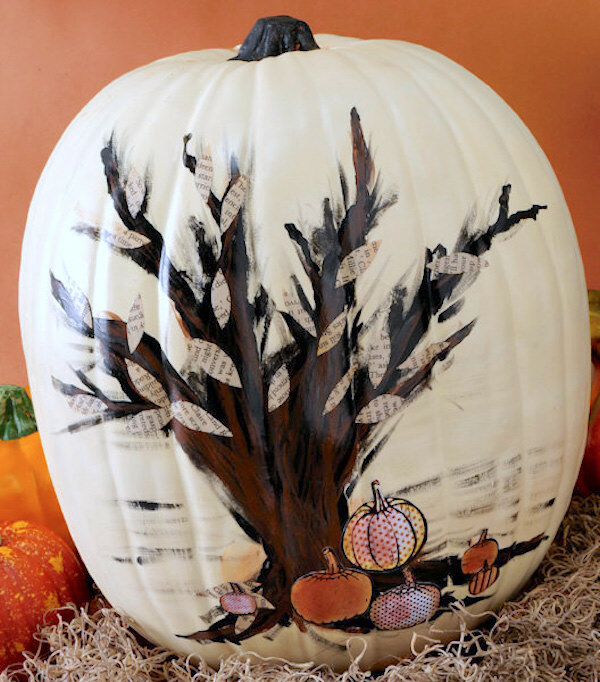 I'll show you how to transfer any design to the surface of a pumpkin (and then paint it!). I added Sparkle Mod Podge when all was said and done because, of course. This is a pretty unique take on a pumpkin, and it's certain to get your party guests talking. 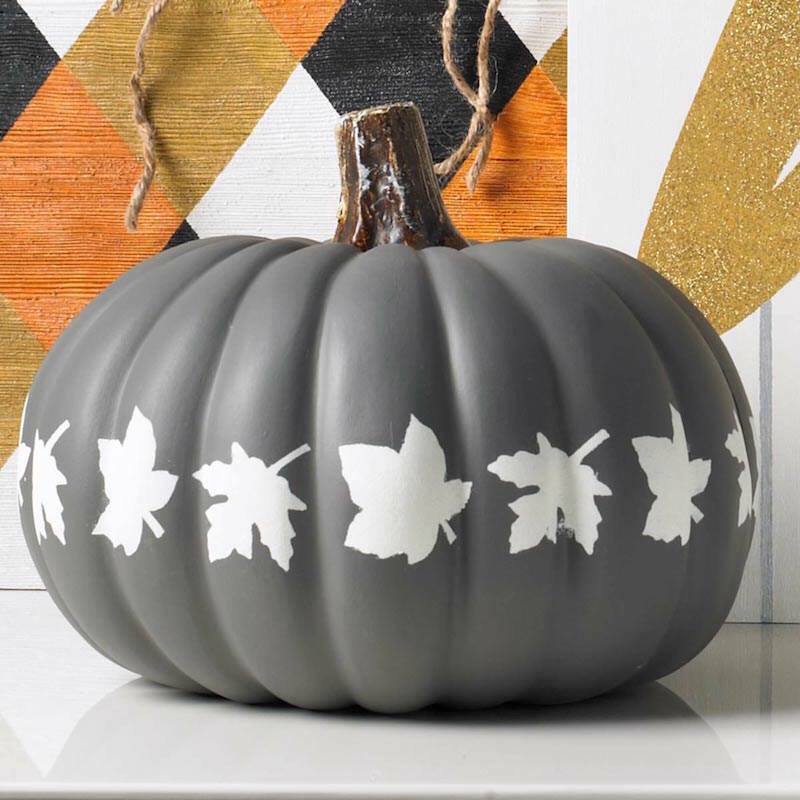 All you need is a white faux pumpkin and some black paint. I wonder what happens if you spin it? There's a lot of fun going on with this Halloween pumpkin! 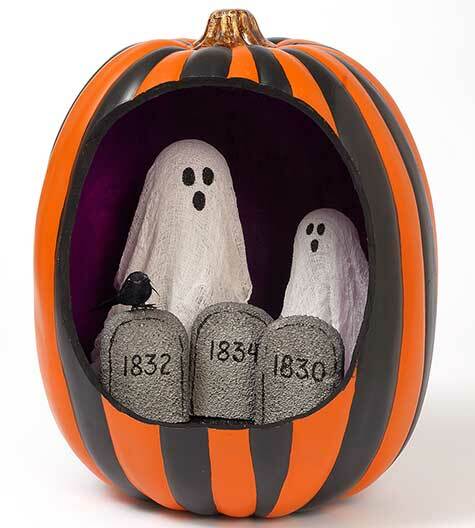 One of my favorite things is what's inside of the pumpkin – those tombstones and stiffy ghosts make the project. 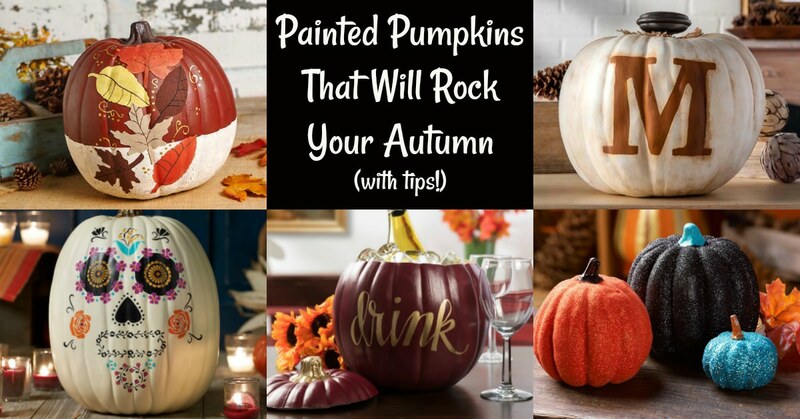 I can see these painted pumpkins fitting in well with vintage, rustic, or farmhouse decor depending on the colors and stencils used. I love the matte finish of the paint used here. 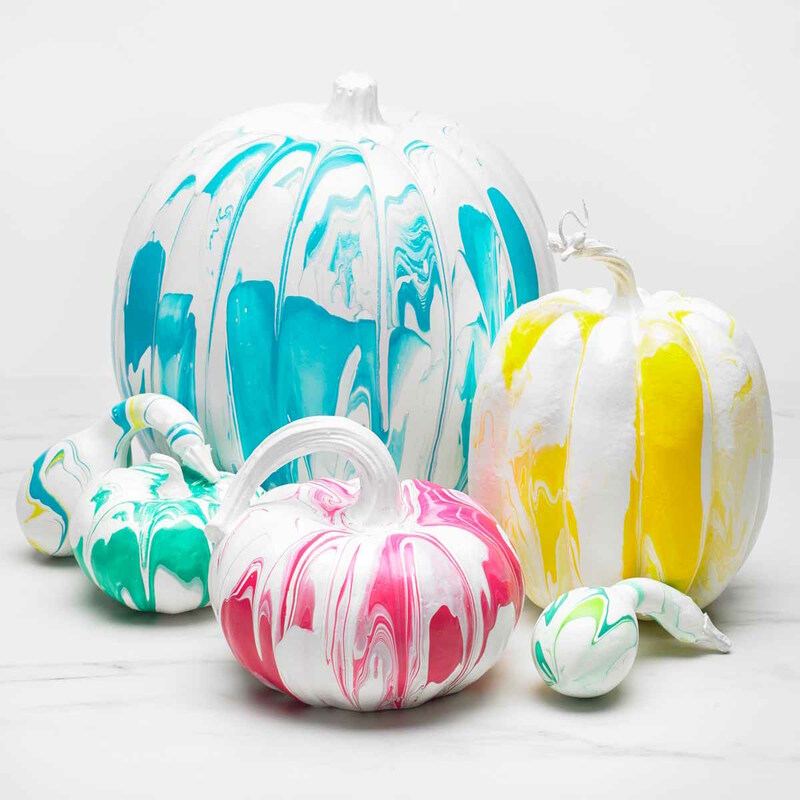 Painted pumpkin ideas don't have to just be pretty – they can also be useful! 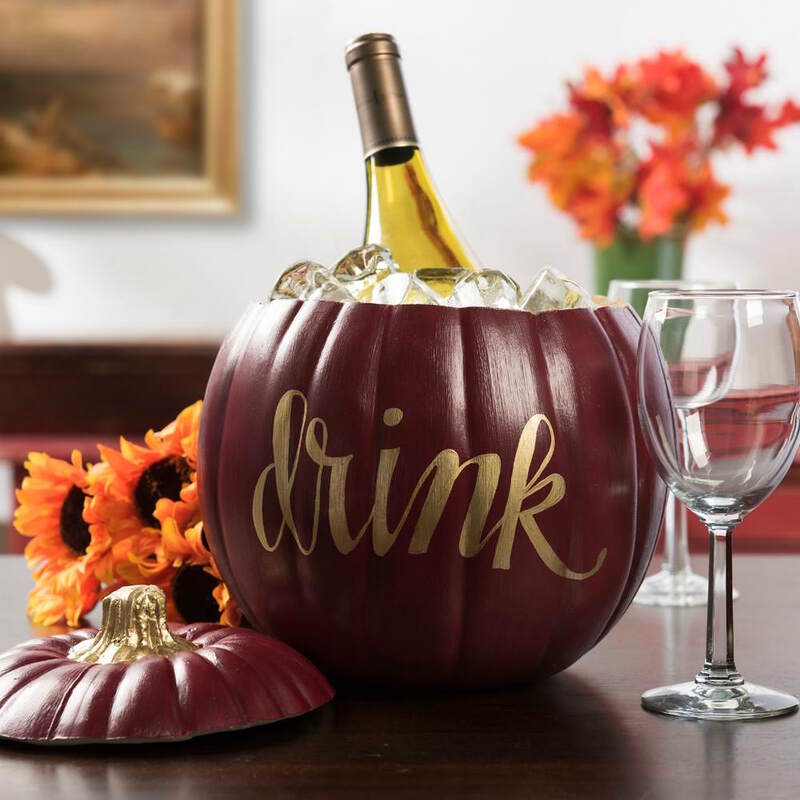 This punkin' obviously doubles as a party cooler/wine chiller, which I think is one of the coolest uses for a faux pumpkin I've seen. 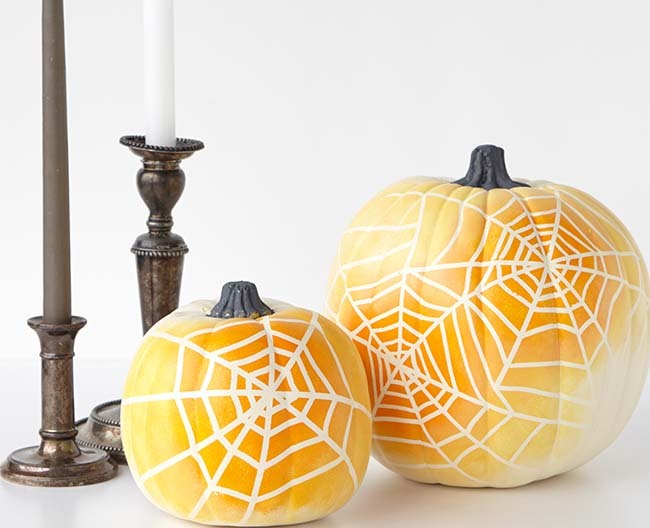 How do you create spider webs on the front of a pumpkin? With thin stencil tape, of course! If you haven't tried this technique, it's really fun and easy. You don't need advanced craft skills to make this pumpkin, but you do need patience. You'll use peel n' stick stencils with your favorite words. I love this pumpkin for the Thanksgiving table. Wouldn't it be an awesome centerpiece? This pumpkin reminds me of JoJo Siwa, with a big bowl on her head! 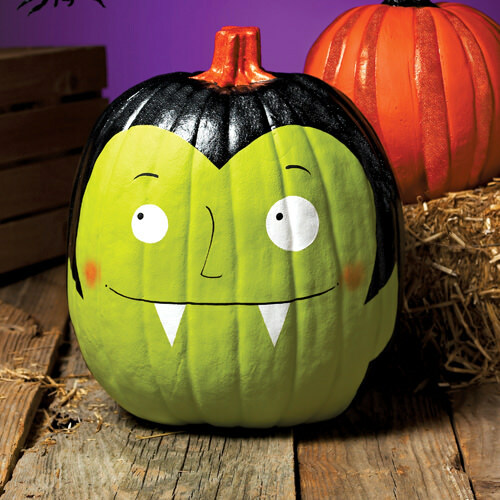 This Halloween themed pumpkin is perfect for kids to make, since it's kind of wild and easily customizable. 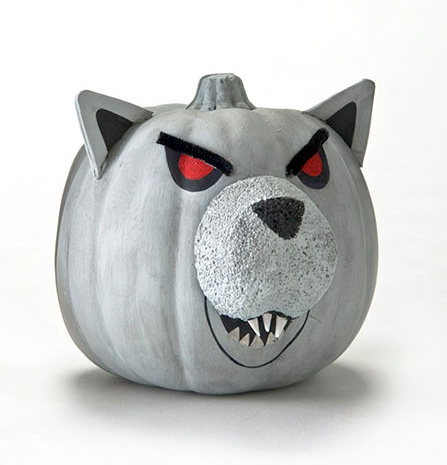 Craft foam is perfect for adding dimension to your projects, and that's how it goes with this werewolf pumpkin! The foam is used for the snout, ears, and teeth. Painter's tape will be your best friend in this project! 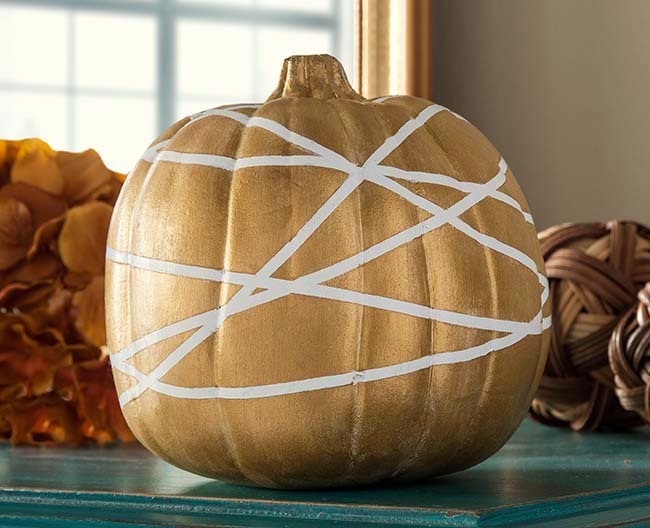 That means all you have to do is tape a white pumpkin (real or fake) and paint the rest of it in gold. Then remove the tape. You can do it, can't you? Painted pumpkin ideas don't have to be complicated – and that's what I love about this idea! Use chalkboard paint and attach a bow . . . boom, you're done. 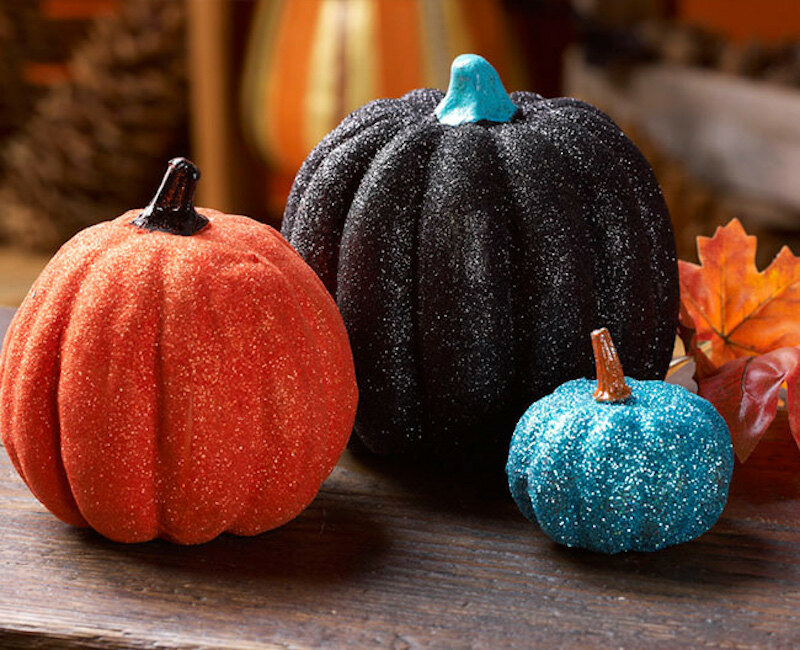 If you've ever applied glitter to a pumpkin before, then you know this already: glitter looks better when you paint a basecoat of the same color first. That's the method here, and the sparkle just pops off the surface. 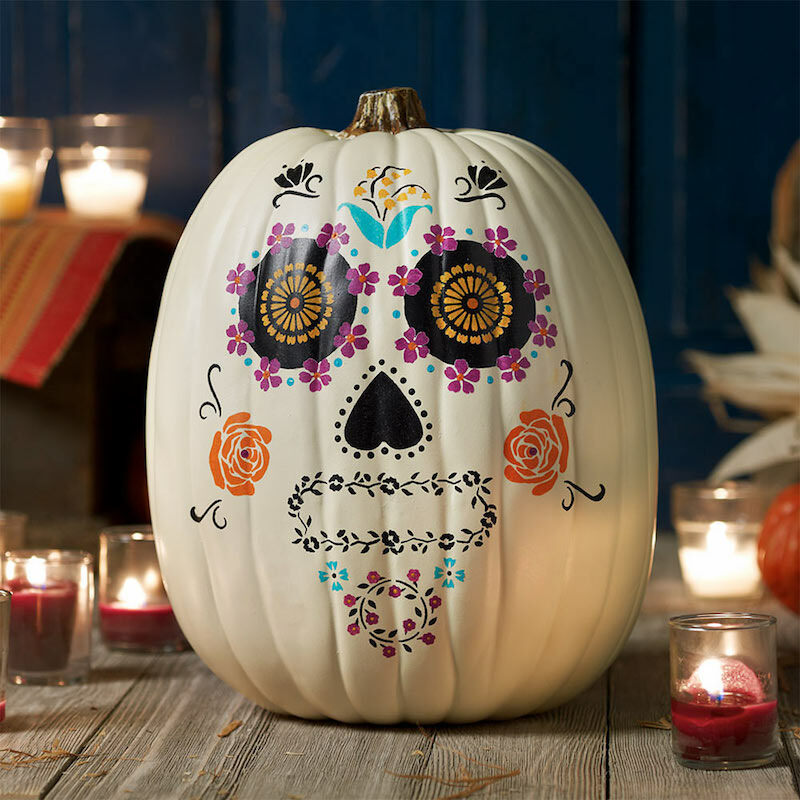 Use multi-surface paint and peel-and-stick stencils to create a pumpkin that honors the Dia de los Muertos tradition. Click through to get the free pattern to make this whimsical face. 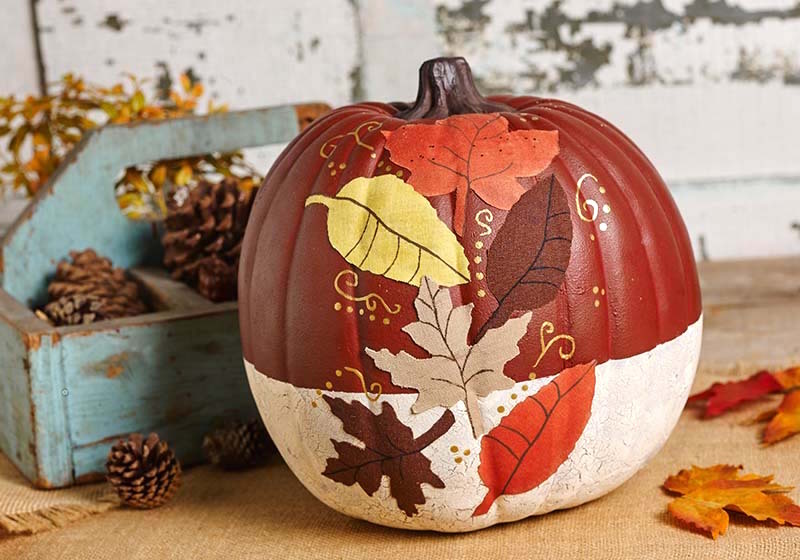 Painted pumpkin ideas don't have to be complicated to be beautiful. 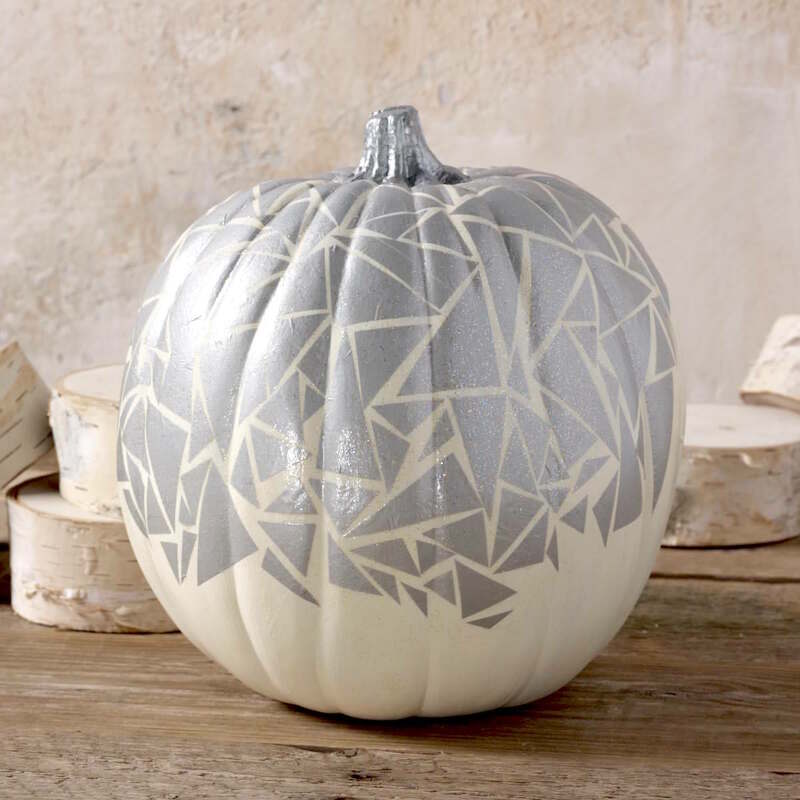 This stenciled pumpkin is perfectly neutral, and it would look amazing with Fixer Upper style decor. Simple yet pretty! This sparkly pumpkin reminds me of disco and David Bowie! If you're feeling a little Ziggy Stardust this holiday season, might I recommend a silver pumpkin sealed with Sparkle Mod Podge? If you've never painted harlequin before, it's way easier than you think. 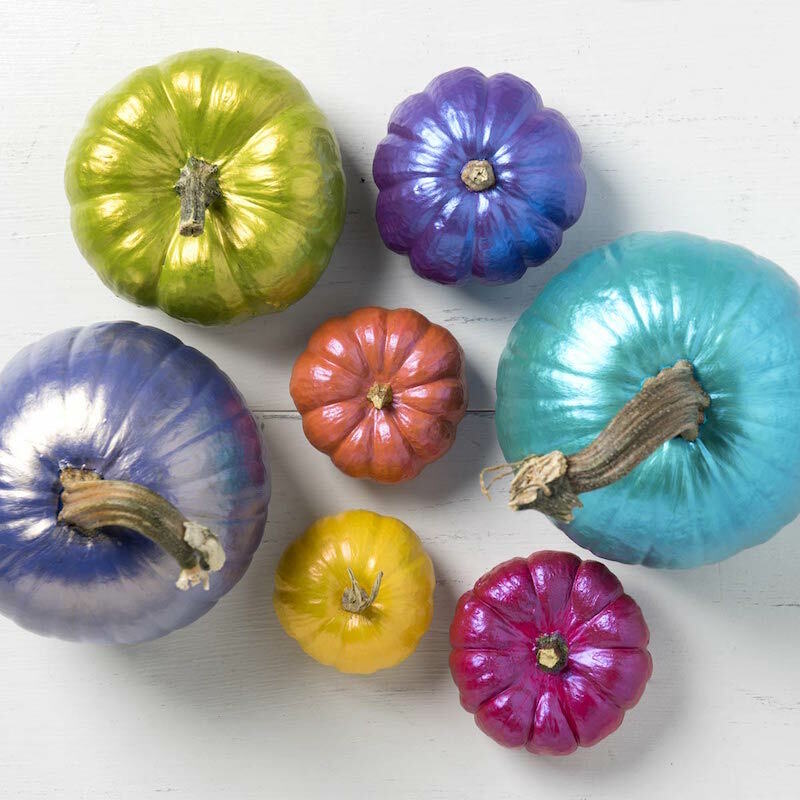 These unique gourds are super cool, and you'll definitely have an impressive seasonal display with them included. 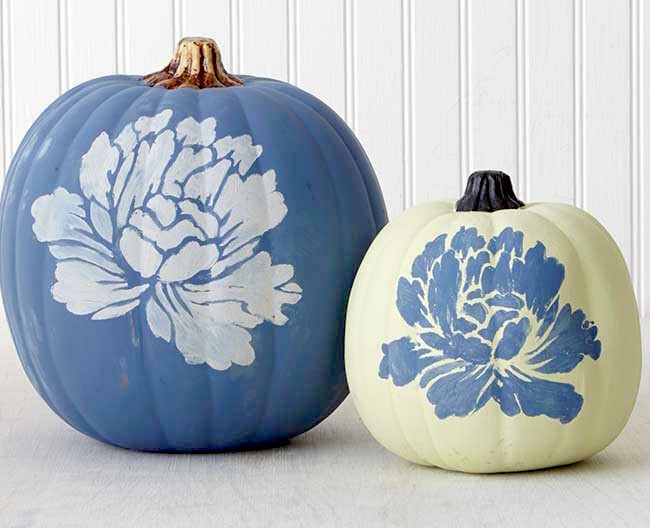 Which of these painted pumpkin ideas is your favorite? Do you have any questions about these projects or any techniques? Let me know in the comments!